Russian Value Vodka is a signature Russian Vodka produced by TARTSPIRTPROM Company in Kazan city, Russia (tatspirtprom.ru). TARTSPIRTPROM is the largest Russian alcohol producer which is in possession of seven different production facilities all over Russian Federation. We are proud to represent TARTSPIRTSPROM brand “Russian Value” vodka. In the 19th century wise merchants traveling Kazan in Russia highly assessed the quanlity of Kazan vodka and were ready to accept local vodka instead of money. Brand name “Russian value” comes out of this legend – vodka that is very valuable and desired item. 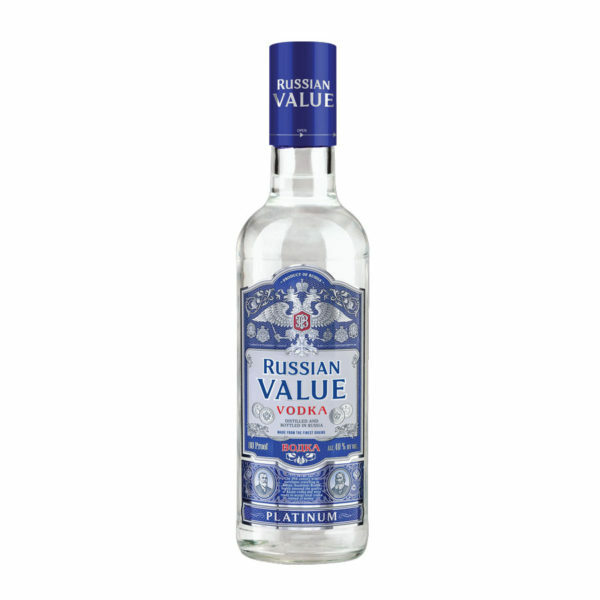 “Russian Value” vodka represents all Russian vodka production traditions – the trademark clear, smooth and crispy taste which goes perfectly together with a rich and creamy mouthfeel.